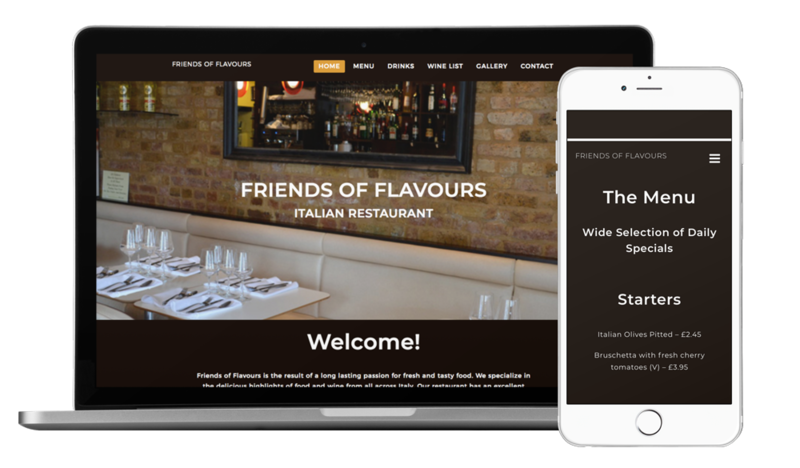 Website rebranding for restaurant Friends of Flavours. The Italian restaurant is located in South-East London. It is well known for its pasta and fish dishes. They needed an online presence in order to reach more customers. First of all, they asked for an attractive website. They also wanted an easy to manage solution for their web pages. As an owner of a restaurant business, I contacted Fiorenza Temmel Design to manage all our social media. First of all, they set up and managed our website very efficiently. They have been very proactive and they are always easy to contact. People at Fiorenza Temmel Design gets things done quickly. We have been very happy with the service they provide.